The Nano represents another successful step forward for the POG. Starting as a giant metal cuboid back in 2005, the POG's flawless polyphonic tracking and ease of use made it an instant hit with the likes of Jack White and Joe Satriani. 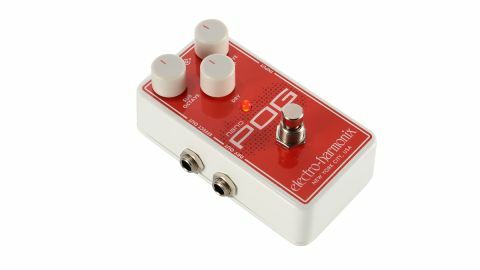 Now in its most compact incarnation yet, the Nano POG continues to handle like a champ, with infallible tracking and some of the most natural octaves you'll get out of a pedal-based pitch-shifter. There's still a touch of latency (try palm-muting and you'll see what we mean), but adding dirt yields chunky riffs, beastly chords and convincing bass impersonations.